I do not know where the wax is purchased other than the USA or the way it is processed what I do know is the aromas that I have are simply delicious. I truly believe that after reading the companies mission statement that the main ingredient is love. Everything I received is amazing. Everything purchased directly from One Fur All's site contributes to saving the lives of innocent animals (One Fur All does sale through other channels and if you purchase through another channel they may or may not contribute to saving animal lives.). 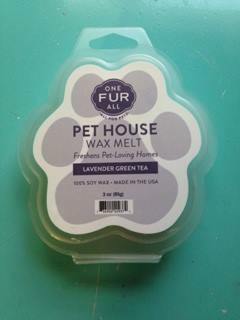 Check out One Fur All's rescue fundraiser program here. Animals are my security! Giving their love and loyalty unconditionally. Unfortunately in this world so many animals are left behind and abandoned. Homeless hurt and neglected these creatures have the magical ability to change many humans lives. They are used for the blind, to sense seizure activity before the onset of a seizure. In nursing homes for the residents health and happiness. Family pets teach children to love and guard and protect their homes. They have so many more abilities that I haven't mentioned. I continue to carry my animals with me wherever I travel and continue to rely on them for love and security. 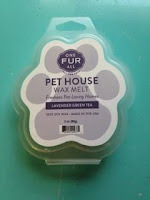 Whenever I pop out a wax melt from the paw shaped container I first hold it in my hand and savor the scent of a product that saves lives. I smell the aroma of the wax melts in my home. The scent that I would have to describe would be love! The Mediterranean Sea Wax Melt is my favorite! The owners of the company are not only producing a product that is pet owner friendly they are continuing their mission in their spare time. To give back what they have received from their animal families unconditional love and time. If you purchase One Fur All products they are getting an excellent product and you are saving lives. Please remember the mission statement and purchase the product that gives so much more than it receives. 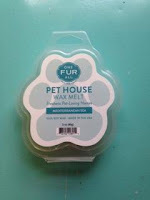 I hope to help make One Fur All a household name for all animal lovers out there! This company is "fur real". We are avid proponents of animal adoption and have made it a part of our mission to help support non-profit, no-kill rescue groups across the United States. We are proud to help to highlight and support the efforts of rescue groups in all parts of the USA. This is a great review! 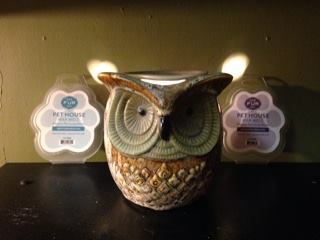 To be honest, I've only ever really heard of Scentsy, so I'd love to try another brand sometime!